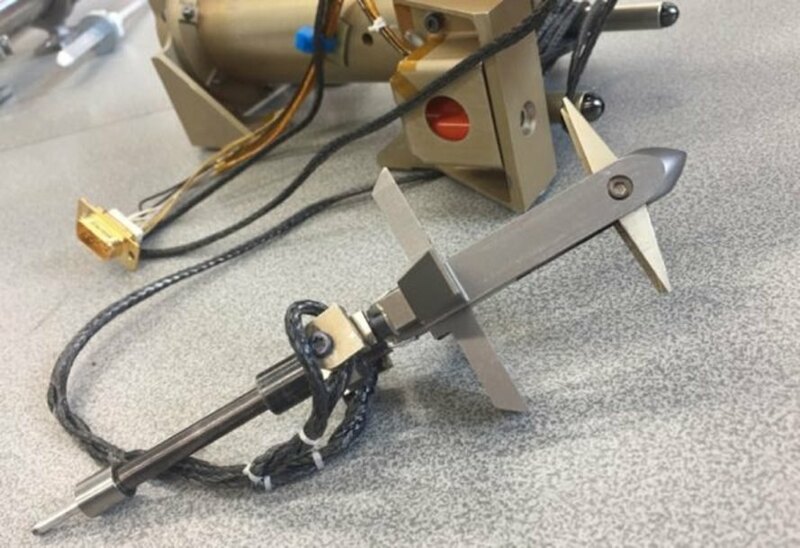 The aeronautics company Airbus is currently testing a three-foot harpoon they hope will catch the nonfunctional satellite Envisat and pull it back to Earth. This particular proposal may also address the rising problem of space debris. “If we can design a harpoon that can cope with Envisat, then it should be able to cope with all other types of spacecraft including the many rocket upper-stages that remain in orbit,” project engineer Alastair Wayman told the BBC. Prior to its sudden death in 2012, Envisat, operated by the European Space Agency (ESA), was the world’s largest civilian Earth observation satellite. The ESA hopes to bring it back home, starting with a scaled-down harpoon expedition known as the RemoveDEBRIS Mission. The RemoveDEBRIS demo satellite will bring its own debris into space, then attempt to catch it. This experiment will also test a net-based system. 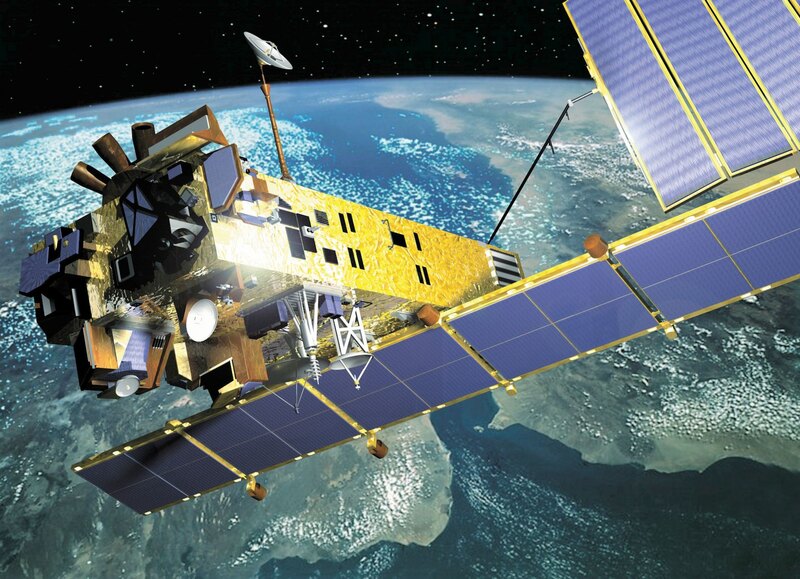 An artist's rendering of Envisat, a defunct satellite. The harpoon to be used in the RemoveDEBRIS mission. 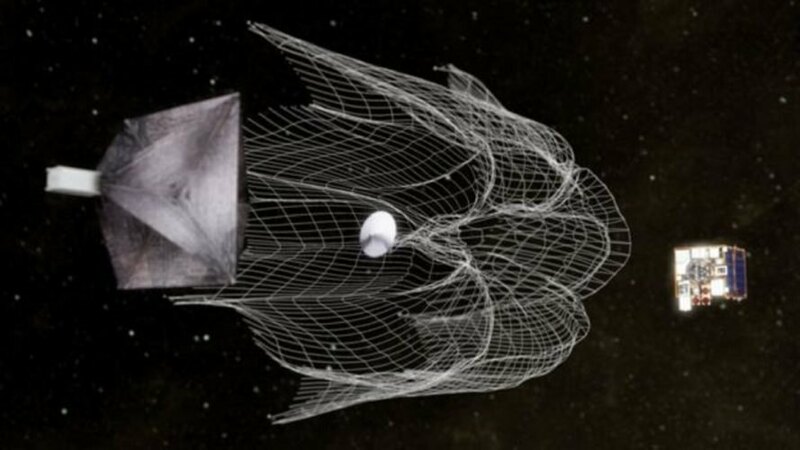 One net-based technology in development by the RemoveDEBRIS Mission.